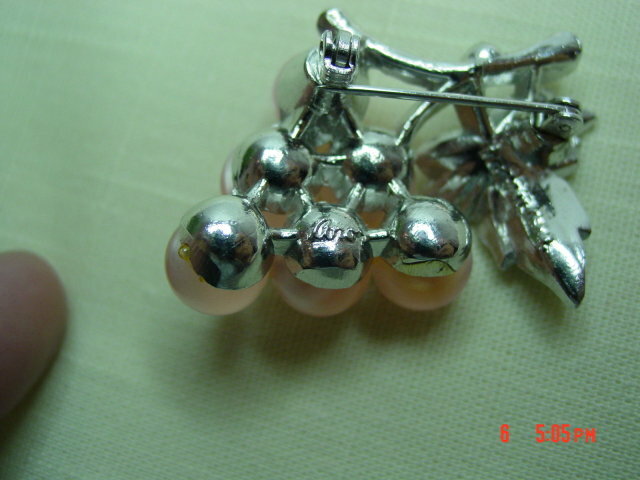 This vintage silvertone brooch has a cluster of 6 pink lucite moonglow thermoset grapes and a leaf with seven clear rhinestones. The back of one grape is marked Coro. There is other writing on the back of the leaf which I can't make out. All stones look original and in exellent condition. 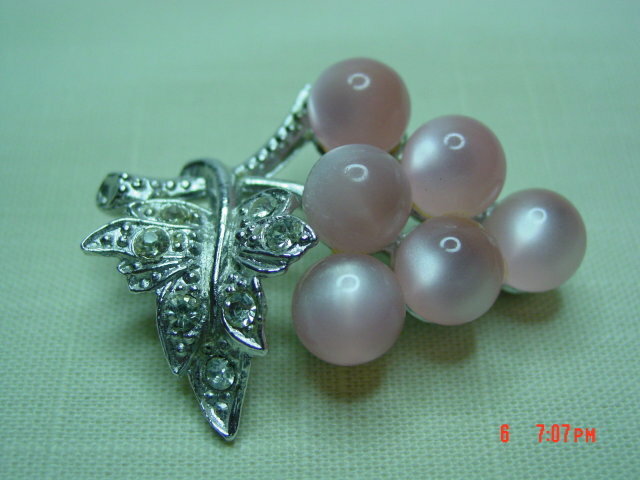 Items Similar To "Coro Silvertone Pink Lucite Moonglow Thermoset Grape Cluster & R..."